Love the paint on your tins! Figured since they were off I could clean them up. Removed the casting marks, paint, and various scratches with a rolox disc. Need to pick up some bar stock as well. 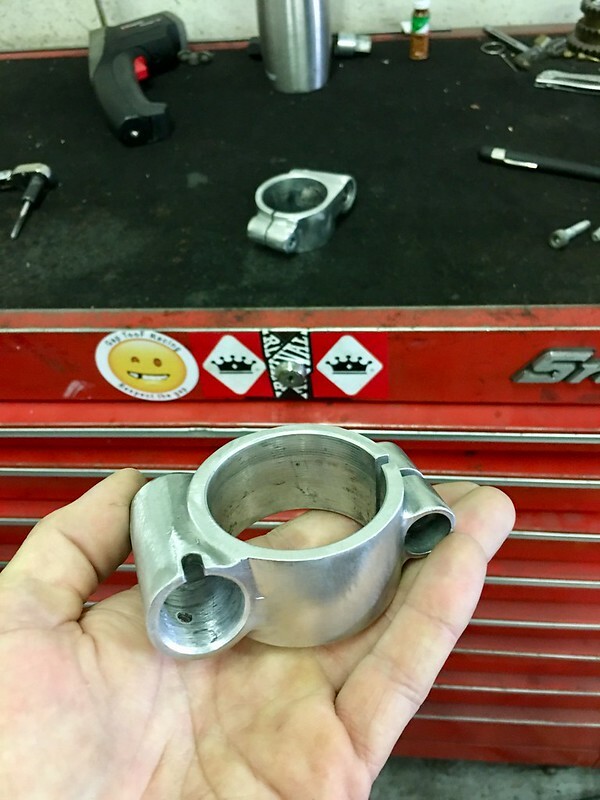 Can't decide whether to polish or powder coat the upper triple tree, lower triple tree, and clip on mounts. 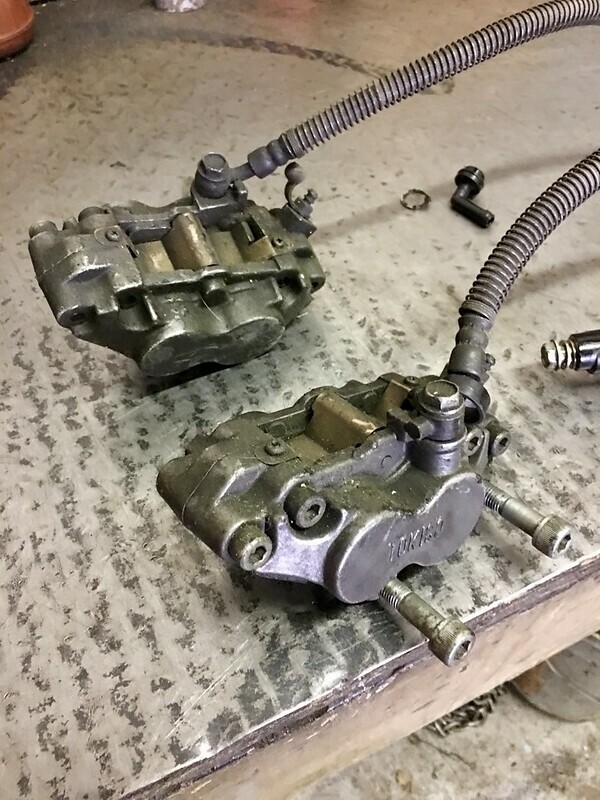 Front calipers have seen better days. They were, at one point, a nice dark grey color. That's long gone now. Cleaned them up as best as possible. Later on I might disassemble them, refurbish them, and have them powder coated. I realized I should map out my harness, so I’m in the process of drawing it up today. I am a little bit lost in translation with the factory wiring diagram. The ic igniter doesn’t seem to be fused in the factory diagram? Or am I mis-reading that? Common sense tells me it should be fused. If so, what amperage fuse should I go with? 10amp or 20amp? The rectifier/regulator is direct, un-fused to the battery. Makes sense to me. Obviously the lighting system will be fused/relayed accordingly. 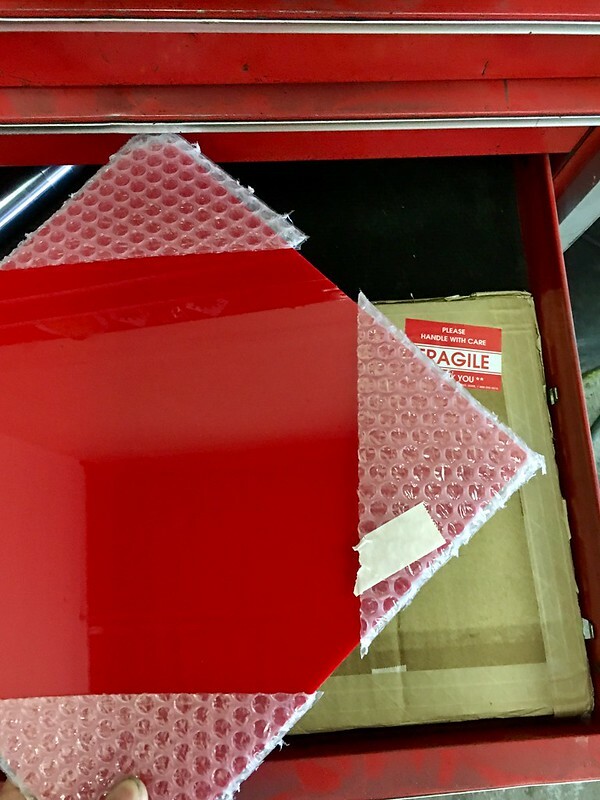 Picked up some red lexan. Going to start playing with tail light design and see if I can't make something interesting and functional. This is where it's at right now. I know I know, rear wheel clearance. Next purchase will likely be correct length shocks and a bigger profile front tire. Had to replace a headlight on a customers 2007 Audi a4 due to autoleveling/high-beam actuator failure. 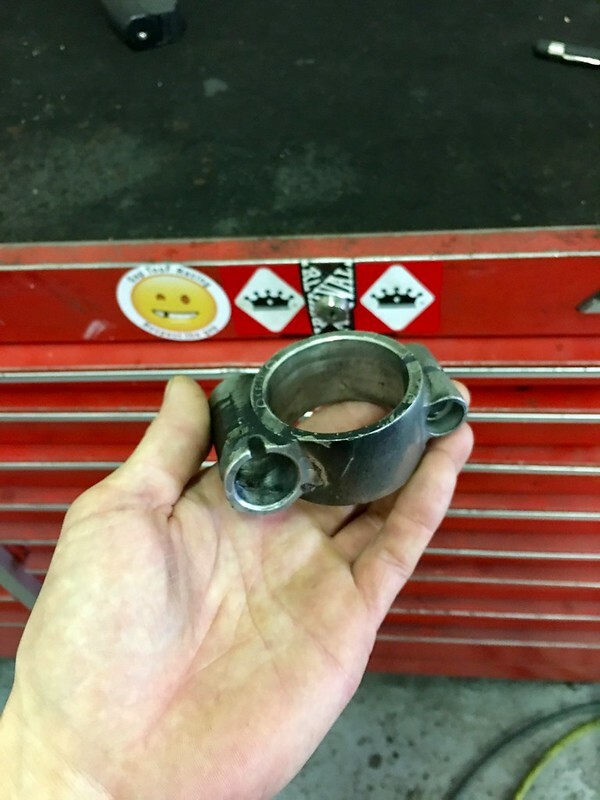 Gotta love permanently integrated part failure. I disassembled said junk and took the projector assembly out and grafted it in. Still need to round up a clear headlight lens to finish it. 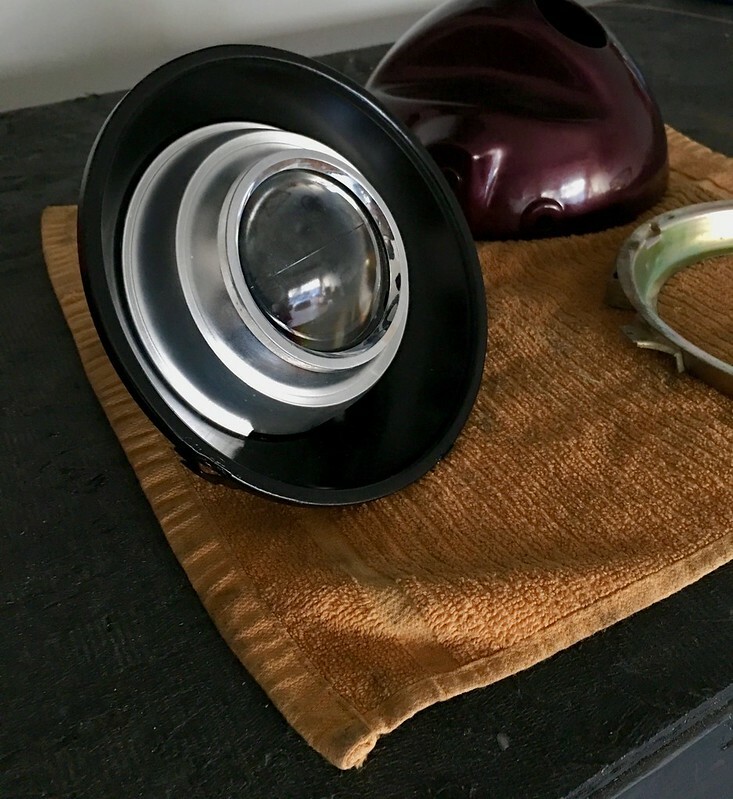 I suppose I could have just purchased some ebay-special projector headlight...but what's the fun in that? Looking quite good so far! On another note, acquired this for free from a customer through the shop I work at. 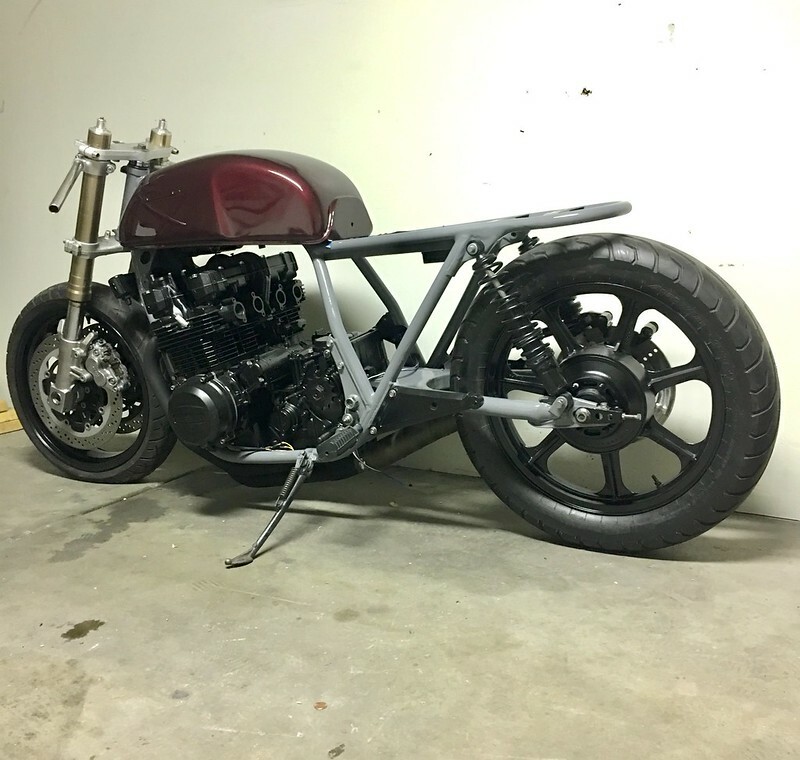 He described it as "the community trailer park bike that got parked in my shed one winter 15 years ago". Obviously no title. 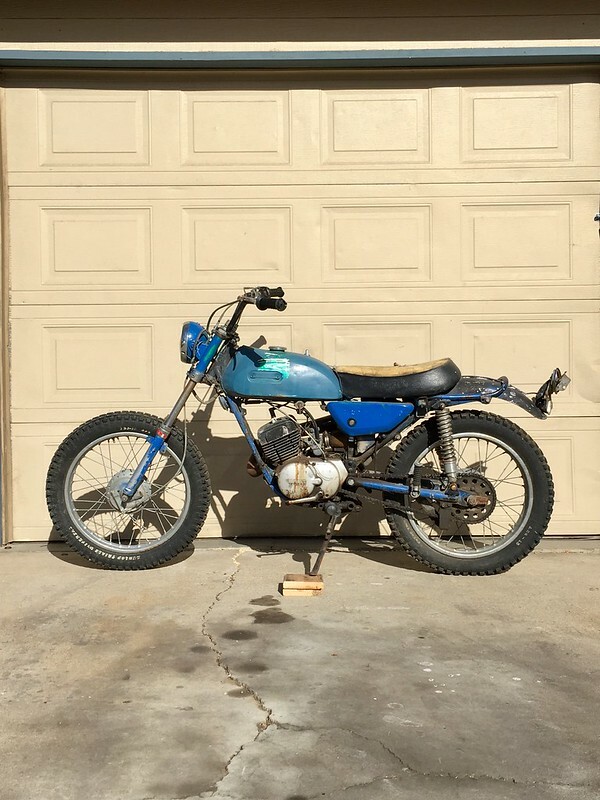 I believe it's a 1972 Yamaha 175cc Ct2. It kicks over, sounds like it has compression, clutch lever moves, outside isn't rotting, gas tank is surprisingly not-terrible. It's all there, loose and failing off, but there. Obviously no title, which stinks, but I'm familiar with the process to deal with that. Question is. Do I keep it and work it over? Or do I push it down to my moto-Salvage guy for yard-credit. It's disgustingly simple and I feel like I could have some fun with it. Doesn't seem like there are a whole lot of people into Ct2s. Which can be a pro or con I guess. I got a CT3 for free from a mate that was very rough. 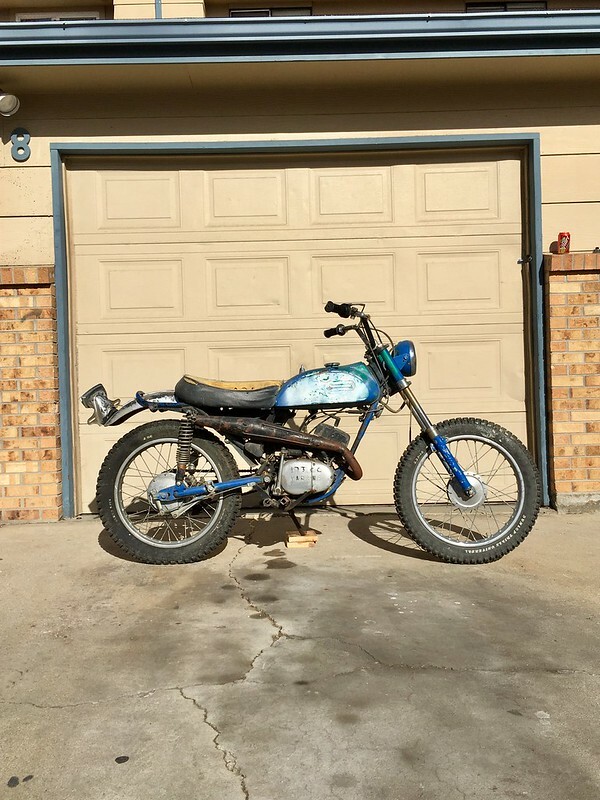 I ended up turning it into a trials bike with the same dimensions as a TY175 and it works really well. 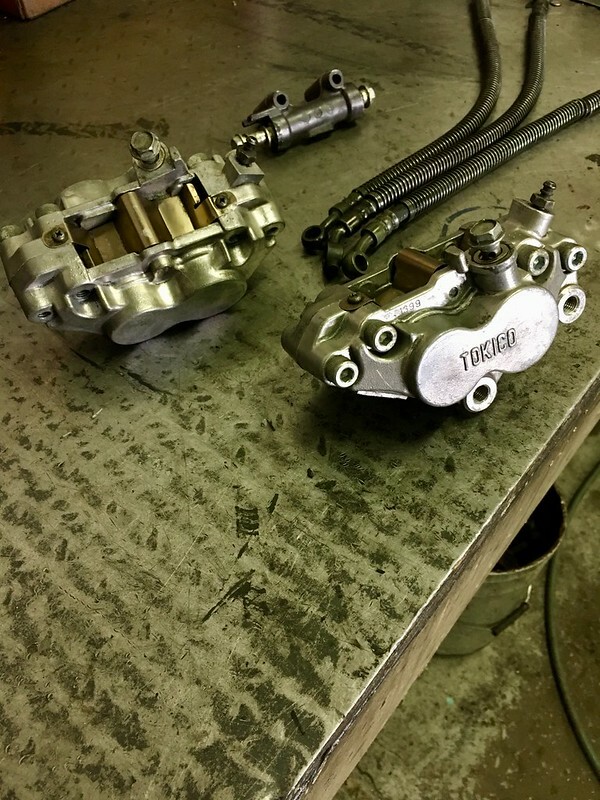 They are a great little motor, easy to work on and parts are plentiful and cheap.